In Thirst of Night, a new world of endless night and a vampire civilization is about to replace humanity as we know it. Freedom came with the massive blast of a magnetic pulse. It triggered volcanic eruptions around the globe, choking the sun with ash and purging the human cities with fire. Now, in a world of perpetual twilight, vampires drink the blood of their enemies to satisfy the Thirst of Night. The player has to build a new vampire civilization from the ashes of human cities, raise a mighty gargoyle to defend the bloodline and defeat the remaining humans and rival vampire clans. 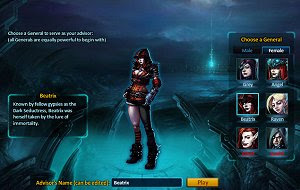 Forge alliances with other players to crush your enemies.